The Hummer H3 is a SUV/Sport Utility Vehicle from General Motors' Hummer division produced from 2005 to 2010. It is based on the GMT355 underpinning the Chevrolet Colorado and GMC Canyon compact pickup trucks. 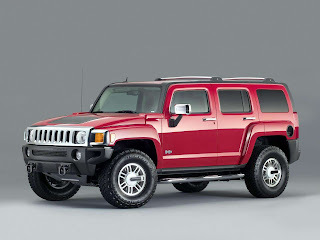 Produced at GM's Shreveport, Louisiana factory and the Port Elizabeth plant in South Africa, the H3 is the smallest among the Hummer models, and the first to be built by GM. 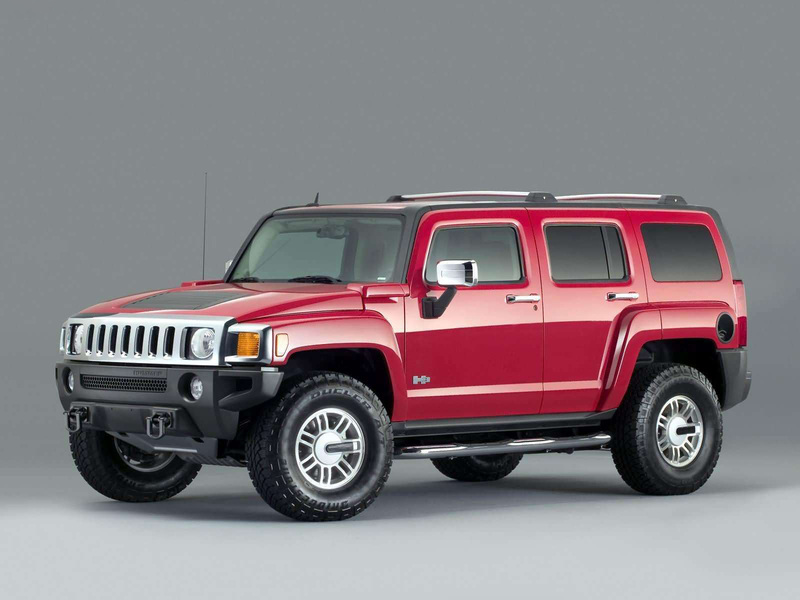 It was available either as a traditional midsize SUV or as a midsize pickup known as the H3T. The H3 was launched with a 3.5 liter straight-5 cylinder L52 engine that produced 220 hp (160 kW) and 305 Nm (225 lbft) of torque and was mated to a standard five-speed manual transmission or an optional Hydra-Matic 4L60-E four-speed automatic transmission. In 2007 this engine was replaced by 3.7 liter LLR that produced 242 hp (180 kW) and 328 Nm (242 lbft) of torque, figures that were revised in 2009 to 239 hp (178 kW) and 327 Nm (241 lbft ). Under revised EPA testing standards when equipped with either transmission this straight-5 engine achieved 14 mpg-US (17 l/100 km) in the city and 18 mpg-US (13 l/100 km) on the highway with a combined average of 15 mpg-US(16 l/100 km). Available solely with the automatic transmission, a 5.3 liter LH8 V8 engine producing 300 hp (220 kW) and 320 lbf·ft (430 N·m) of torque was added in 2008 for the Alpha model and delivered slightly lower fuel economy, estimated at 13 mpg-US (18 l/100 km) in the city, 16 mpg-US (15 l/100 km) on the highway, with a combined average of 14 mpg-US (17 l/100 km). 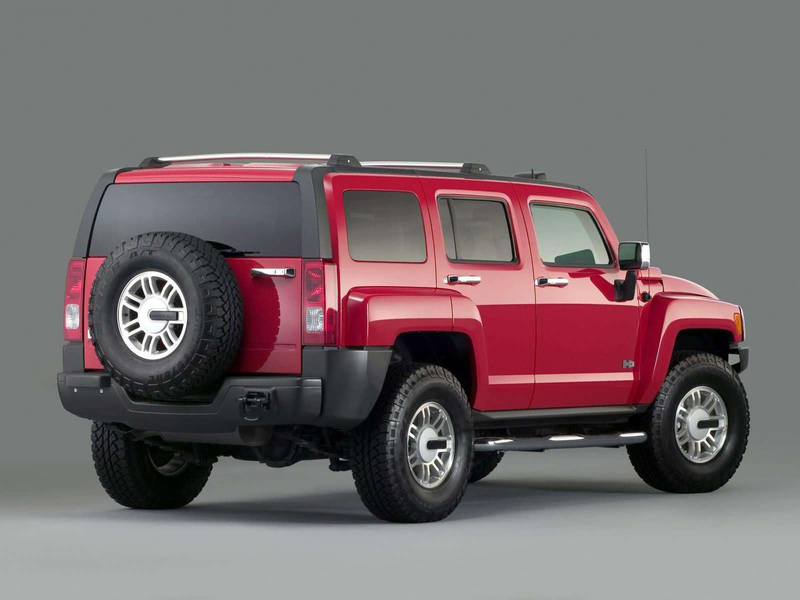 The H3 featured a two-speed, electronically controlled full-time four-wheel drive system that made it suitable for both on-road and off-road driving. Electronic locking front and rear differentials were optional. Like the Hummer H2, the H3 can ford 24 inches (610 mm) of water (tested in depths up to 31 in or 790 mm) at a speed of 5 miles per hour (8.0 km/h) and 16 inches (410 mm) of water at a speed of 20 miles per hour (32 km/h). Standard ground clearance is measured at 9.7 inches (250 mm) while the approach, departure, and breakover angles are measured at 37.4°, 34.7°, and 22.1° respectively, allowing the H3 to scale a 16-inch (410 mm) vertical wall and negotiate grades of 60% and side slopes of 40%. Front and rear recovery hooks were standard, with an optional trailer hitch and wiring harness. Maximum towing capacities were 3,000 pounds (1,400 kg) for the straight-5 with manual transmission, 4,500 pounds (2,000 kg) for the straight-5 with automatic transmission, and 6,000 pounds (2,700 kg) for the V8 with automatic transmission. Cargo volume with the second-row seats in the upright position was 25.0 cubic feet (0.71 m3) that could be expanded to a maximum of 62.8 cubic feet (1.78 m3) when the seats are folded down. V8 models featured the lightest maximum payload capacity of just over 1,100 pounds (500 kg) while straight-5, manual transmission models allowed the greatest payload at 1,300 pounds (590 kg). Electronic stability control, anti-lock four-wheel disc brakes, brake-controlled traction control, LATCH child-seat anchors, and tire-pressure monitoring were standard features on the H3. Side-curtain airbags were optional until 2008 when they were made standard across. The H3 was rated Acceptable, the second highest rating, by the Insurance Institute for Highway Safety in both frontal offset and side-impact crashes (with side airbags) and Poor, the lowest rating, for rear-crash protection/head restraints. 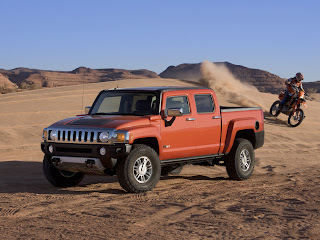 The Hummer H3T is a mid-size pickup truck that was available during the 2009 and 2010 model years. The vehicle was originally shown as a regular cab (two-door) concept pickup truck in 2003, that was shown at the 2004 Los Angeles Auto Show. The production five-passenger four-door crew-cab production version appeared at the 2008 Chicago Auto Show. The H3T featured a 5-foot bed with built-in storage boxes and came in standard H3T, H3T Adventure, H3T Luxury, and H3T Alpha (with cloth or leather trim) trim packages. A road test by Motor Trend reported the 2009 truck "crawled up rock steps, ran through sand washes, and navigated steep ledges with confidence and capability to spare." They described its turning radius "uncomfortably wide" and said "at highway cruising it would've been nice to have a faster, firmer feel. 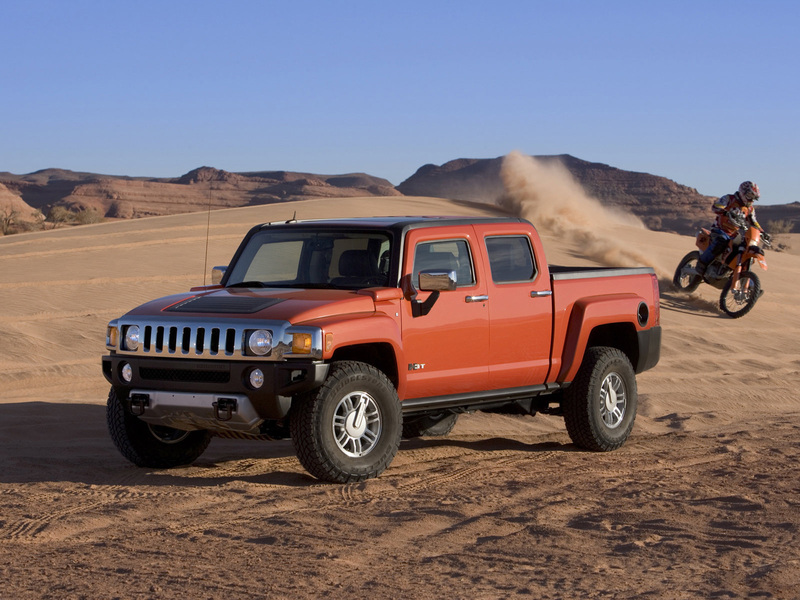 In 2007, GM South Africa launched their first Hummer production facility in Port Elizabeth. The plant manufactured the Hummer H3 for the South African market, as well as units exported to Asia and Europe. This factory also manufactured a right hand drive version for the Australian market between 2007 and 2009. In Australia, the Hummer was distributed by GM Holden by specialist dealerships that were also affiliated with the Saab brand. The H3 was qualified in 2010 by the Japanese Transport Ministry for tax breaks that set easier fuel-efficiency standards for heavier vehicles. The 4,700-pound (2,132 kg) H3's 16 mpg-US(15 L/100 km; 19 mpg-imp) average in city traffic cleared the required Japanese emissions standards relative to its weight. 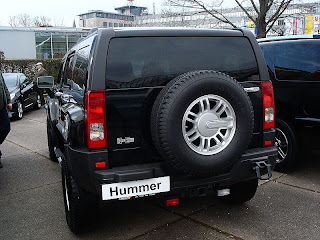 A total of 723 Hummers were sold in Japan during the 12 months before March 2009. Robby Gordon competed in the 2010 Dakar Rally in a purpose built, tube frame chassis H3, finishing eighth overall. In early 2009, Raser Technologies and FEV built a prototype plug-in hybrid H3 that could achieve up to 100 MPG given enough main power. This vehicle, known later as the Electric Hummer H3, was later showcased by California State Governor Arnold Schwarzenegger at a press conference at the State Capitol in Sacramento as part of a campaign to promote greener vehicles. At the end of February 2010, General Motors announced it would begin dismantling the Hummer brand. After filling a rental-car fleet order, the last Hummer H3T rolled off line at Shreveport on May 24, 2010. Last updated on 25 August 2013 at 15:57.